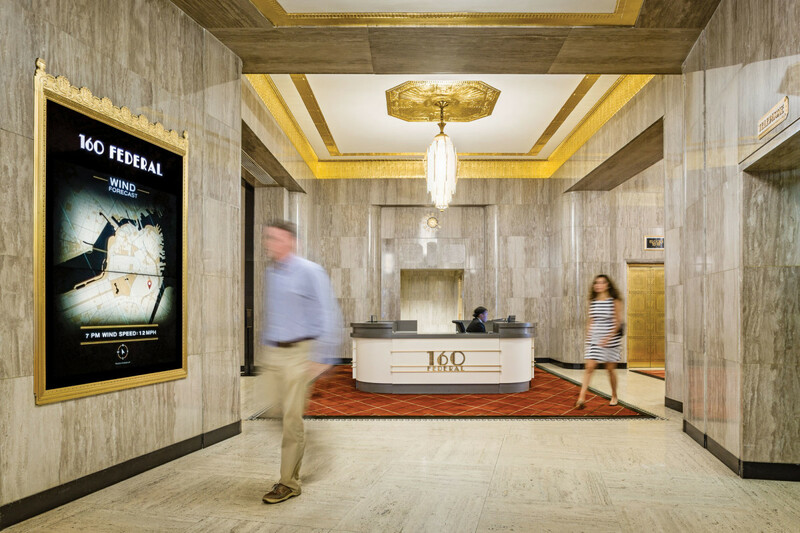 ESI Design updated 160 Federal St. in Boston, MA, a historic Art Deco building that opened in 1930 as the headquarters of the United Shoe Machinery Corporation. It was Boston’s first skyscraper. 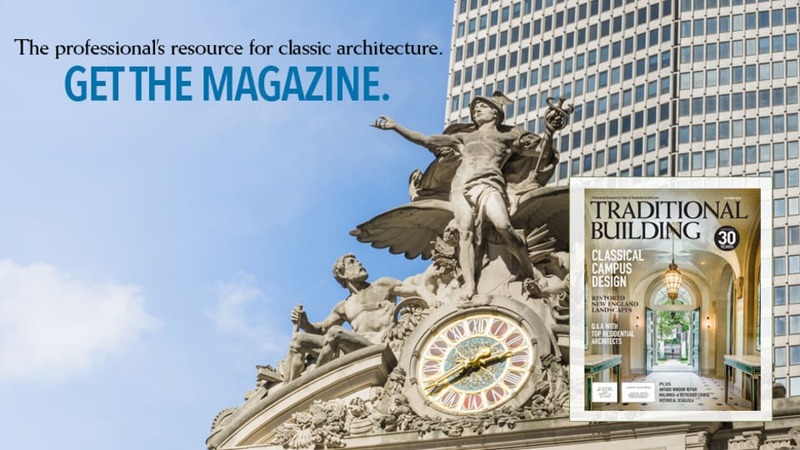 Historic office buildings offer a unique opportunity to update and enhance the properties in ways that respect their architecture yet transform them into state-of-the-art contemporary workplaces. 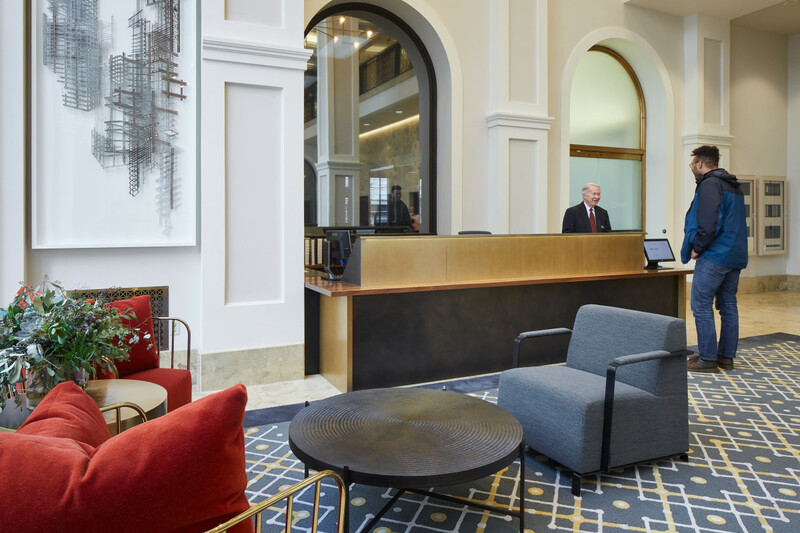 Renovations allow developers to modernize infrastructure, apply for LEED certification, create recycling programs and add amenities like lounges, rooftop decks, beehives and free Wi-Fi access without sacrificing historical accuracy. The new-old work often begins in the lobby, which is the first space tenants and visitors see, and sets the tone for the building. Boston-based Beacon Capital Partners, which invests in high-quality office properties in core urban markets that have highly educated workforces, and New York City-based ESI Design have a long history of collaborating on such conversions to create distinct workplaces that engage tenants and the public. Here are the stories of three traditional historic office buildings in three very different cities. 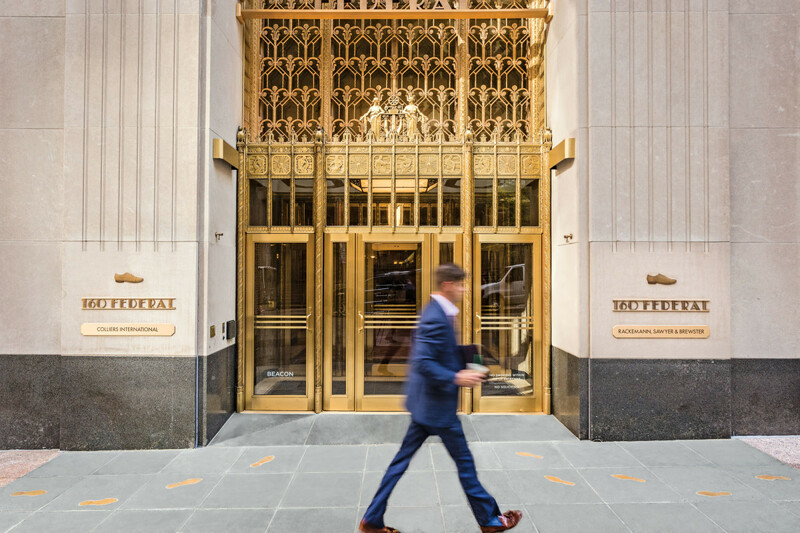 At the entrance to 160 Federal Street, the ESI Design team embedded bronze footprints in the sidewalk to accent the Art Deco elements of the building, which was built for a shoe company. Scan the skyline of Boston’s Financial District, and it is 160 Federal Street, aka the United Shoe Machinery Corporation Building, that is most likely to catch the eye. 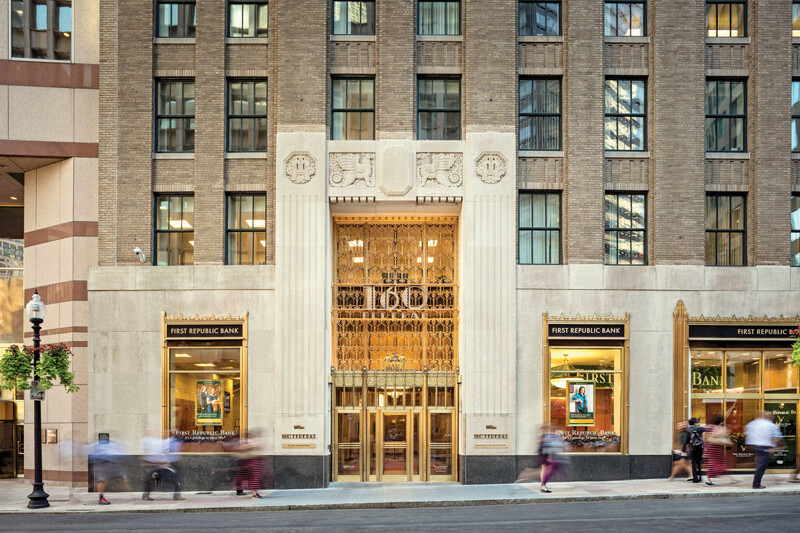 The 24-story historic Art Deco Class-A building, built in 1929, features a stepped gold-tone and terra-cotta crown that outshines its newer neighbors, especially at night when it is illuminated like a theatre stage. The building, at Federal and High Streets across the Rose Kennedy Greenway from South Station, is anchored by street-level retail shops and surrounded by a bevy of financial firms and institutions, including the Federal Reserve of Boston and Bank of America, as well as a number of service and technology companies. A new circular reception desk complements the lobby layout and fulfills modern work requirements. Beacon Capital Partners had updated the infrastructure and added restaurants, on-site parking and rooftop beehives, and the building was awarded LEED Platinum certification. The improvements boosted occupancy to 92%, up from 85%. 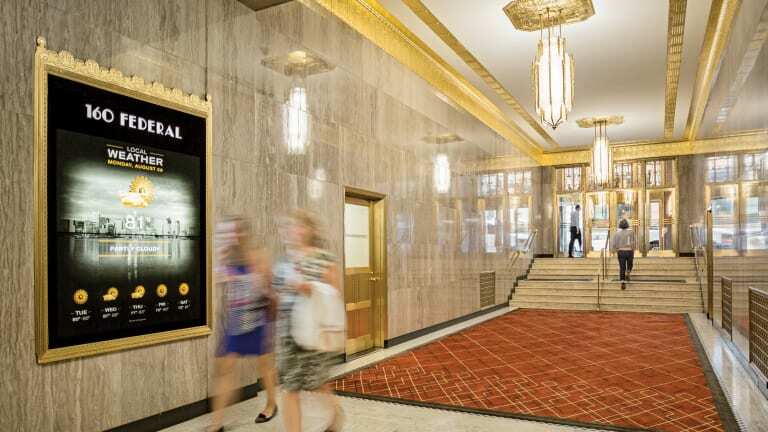 ESI Design was commissioned to add drama to the street entrance of the 367,000-sq.ft. 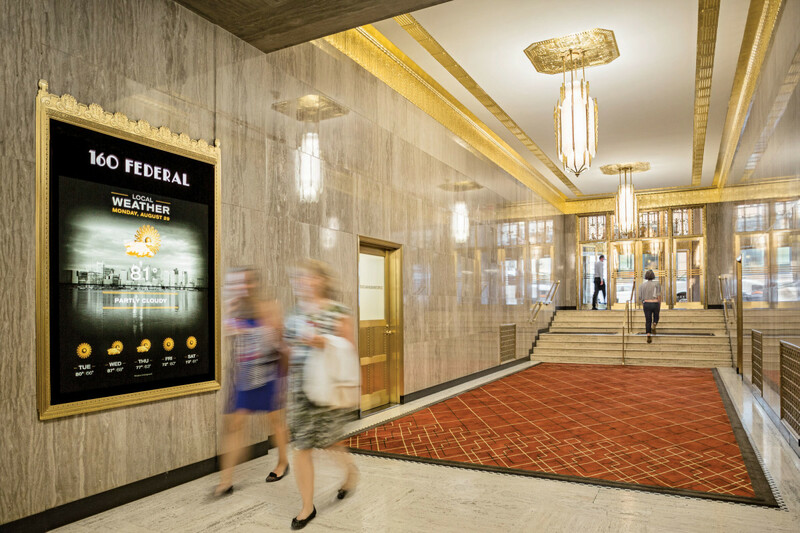 building and bring the lobby up to date while paying homage to its historic roots. The lobby’s historic elements, such as the gilded crown moldings, were refurbished. 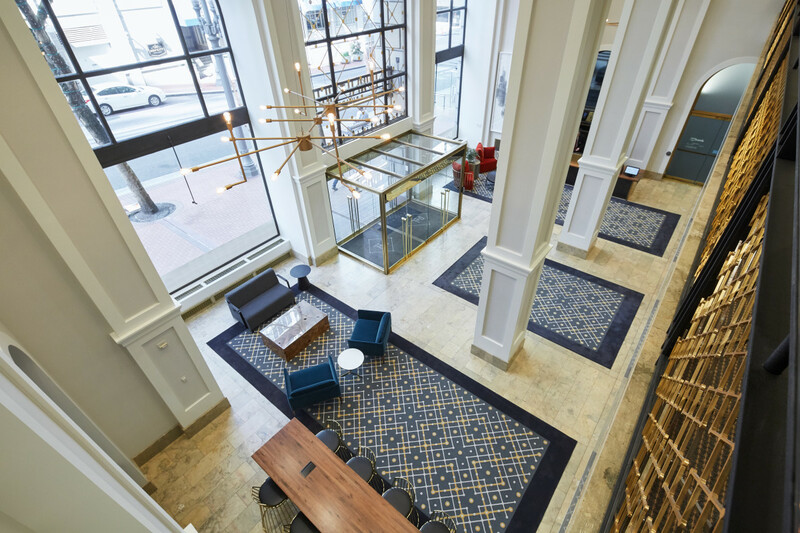 The elaborately patterned lobby carpeting, which was not original, was replaced with a custom design based on interior plasterwork and exterior grillwork. 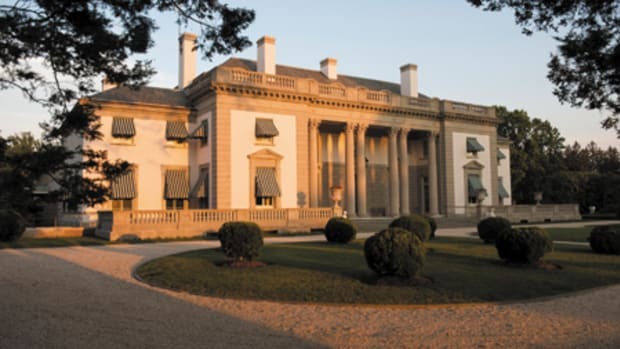 “It has a more modern feel,” says Elizabeth Ward, senior EGD designer for ESI Design. The design of the bold-patterned carpeting in the lobby was based on motifs in interior plasterwork and exterior grillwork. A new type font, based on letters that remained on the mailboxes and elevators, was created for signage and brand identity. The most dramatic change in the lobby is the lighting. “What was there was harsh and unpleasant,” Greene says. ESI Design re-lamped the original chandeliers with LED lights and uplighted them to highlight the ceiling medallions and crown molding. In addition, at the entryways, it surrounded the brass door frames with LED lights and added uplighted LED bars. The elevator call system was also re-lamped using the original casings. 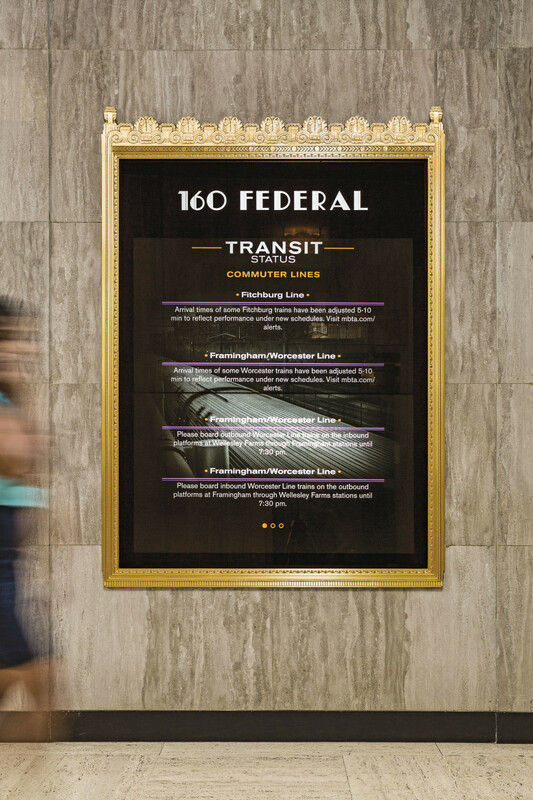 The new lobby directory, set in the original frame, is filled with media content that includes weather, transit delays, upcoming local events, this day in history and a poem of the day. 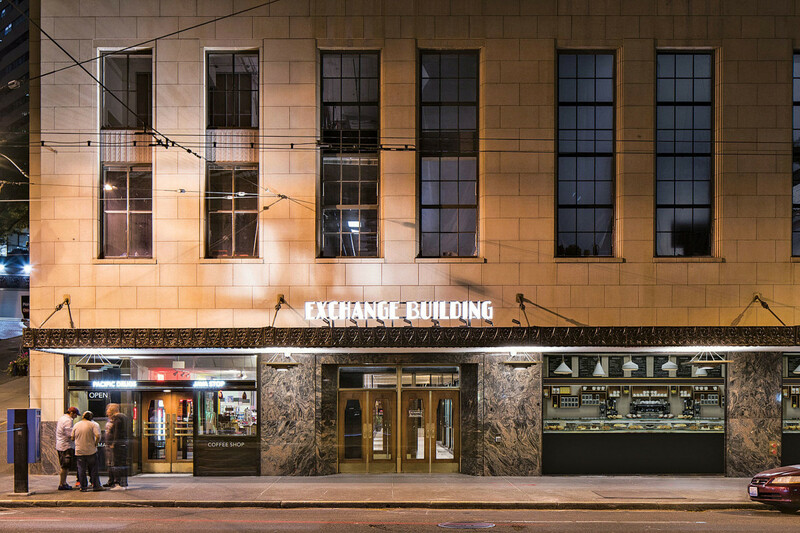 Exchange Building in Seattle, WA, after restoration features brighter lighting and new building identification to coordinate with the Art Deco style. Seattle’s Exchange Building, a 23-story, 275-ft.-high Art Deco skyscraper that was declared a city landmark in 1990, is the original home of the Seattle Stock Exchange. 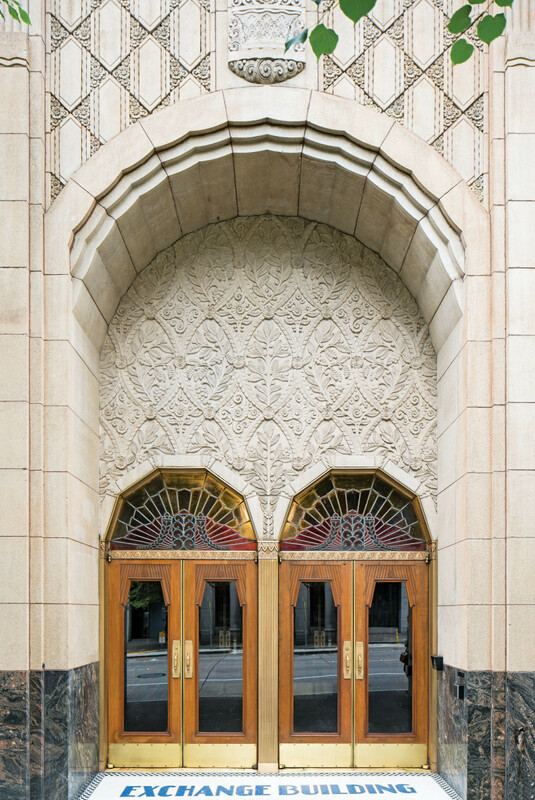 Completed in 1930, it was designed by John Graham & Associates, the firm responsible for a host of other Seattle landmarks, including the Frederick & Nelson Building, which is now Nordstrom, the Bon Marche, which became Macy’s, and the Dexter Horton Building. Its original tenants, which included General Electric, Edison Lamp Works and Standard Oil, were as iconic as the building, which, at the time, held the title of second tallest reinforced concrete skyscraper in the country. 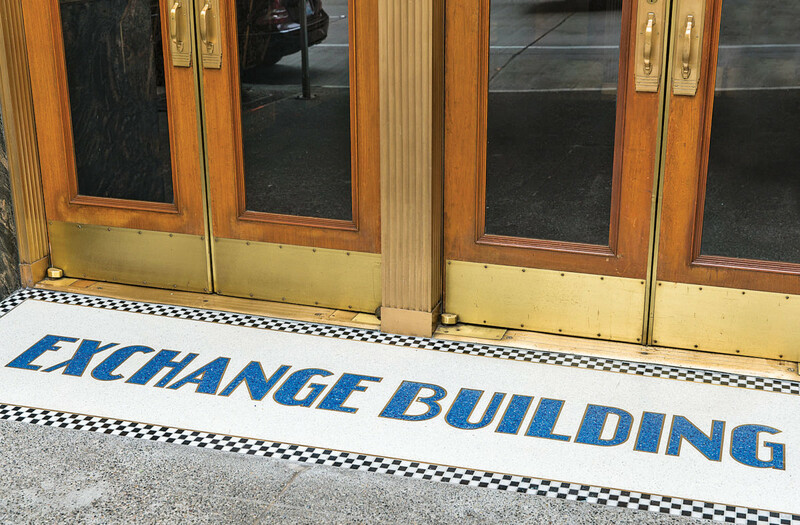 The 2nd Avenue entrance to the Exchange building, which leads to the larger lobby, now features a sapphire and white terrazzo inlay welcome mat bearing the building’s name. When ESI Design was called upon to work on the project, Beacon Capital Partners had already transformed the building into a Class-A property by modernizing the infrastructure, including a voluntary seismic retrofit, improving its sustainability, optimizing its connectivity and adding a host of amenities, including a fitness center, a bike-storage space and rooftop beehives. 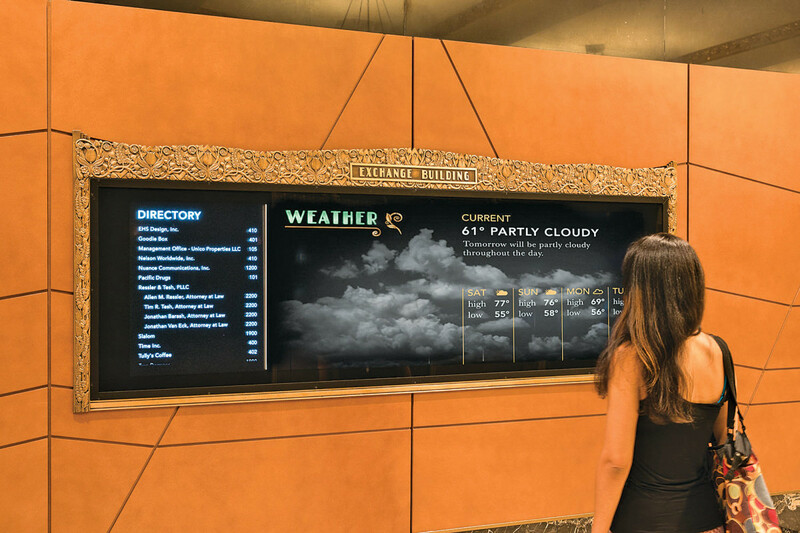 In each lobby, ESI Design inserted electronic media into the vintage directory frames, relocating the one in the 1st Avenue space, moving it nearby the elevator bays to make it more prominent. It also created a custom vintage-style font for signage, elevator numbers and amenity spaces, including the gym, bike-storage room and conference center. A new identity logo was installed on an exterior lobby canopy at 1st Avenue and illuminated with LED lights. The new ID also was embedded in a new terrazzo floor in the 2nd Avenue space after its white tiles, which were not original, were removed. In the directory, a new dynamic media program showcases the history of the building and highlights up-to-the-minute information such as tenant listings, weather, transit delays, this day in history and upcoming local events. 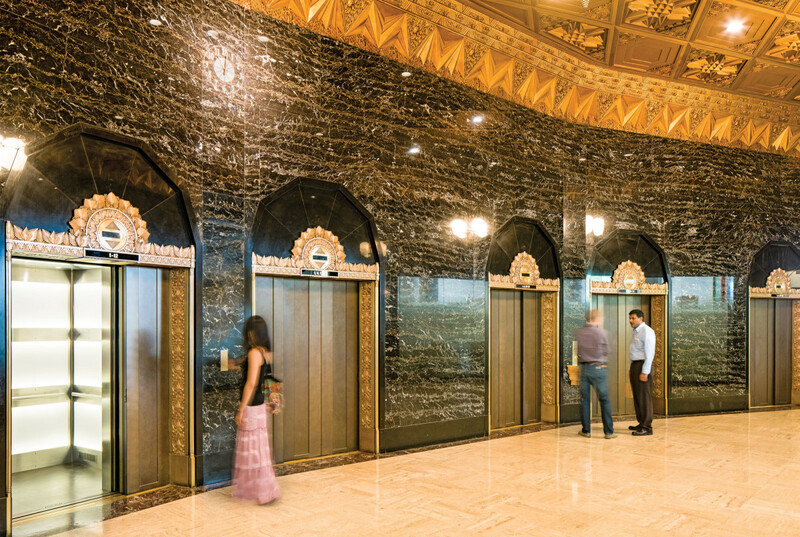 The interiors of the elevators were redone in an up-to-date historic style, and the desks in the lobbies, which were not original, were redesigned. “The desks are always a big issue in these types of projects,” Ward says. “They don’t accommodate computers or technology, and they don’t function well enough for the guards to do their jobs efficiently or effectively.” For the 2nd Avenue lobby, the ESI Design team created a more efficient desk with a striking brass veneer that has plenty of space to accommodate modern technology and packages. The new terrazzo nameplate at the front door is bold, bright and Art Deco-inspired. 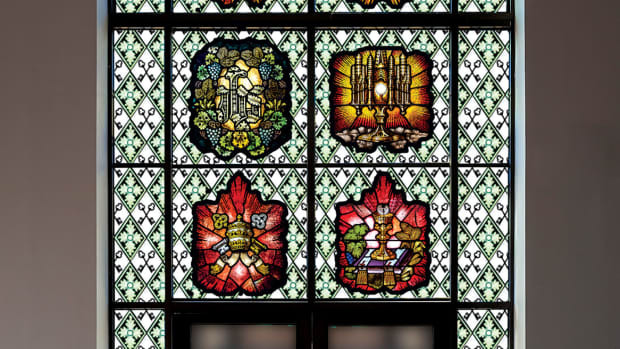 Innovative lighting helped bring the lobbies back in time: The wall clocks were illuminated, and the stained-glass panels above the doors, barely visible, were highlighted with LED lights. 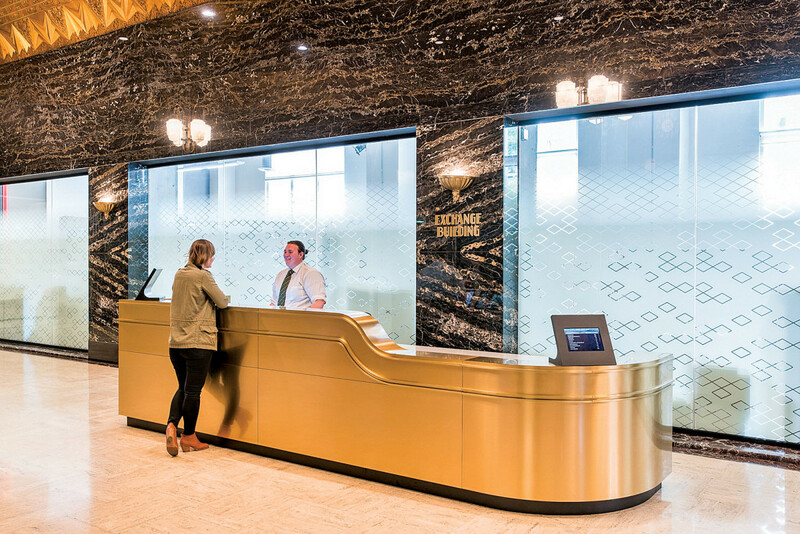 A sleek new reception desk, clad in brass, syncs with the Art Deco style of the building. 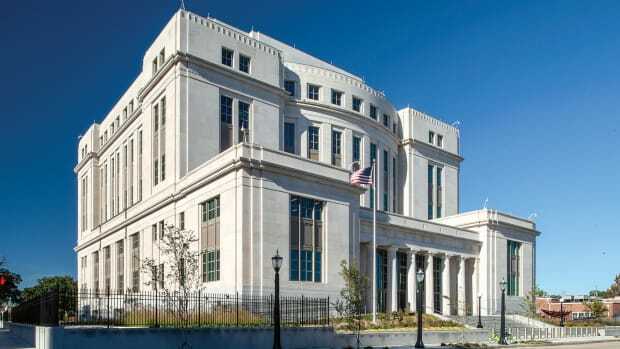 After the renovation, the building was awarded LEED Platinum certification and was named BOMA’s Outstanding Building of the Year in the Historic Building Category in 2016. Occupancy increased nearly 30%, and many of the new tenants are from the creative and technology fields. 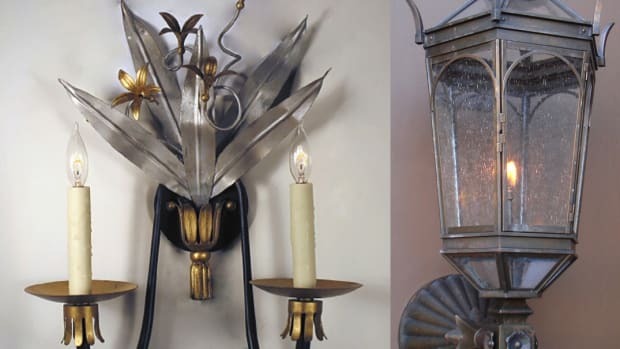 Lighting in the elevator bay in the Exchange Building was added to enhance historical details. 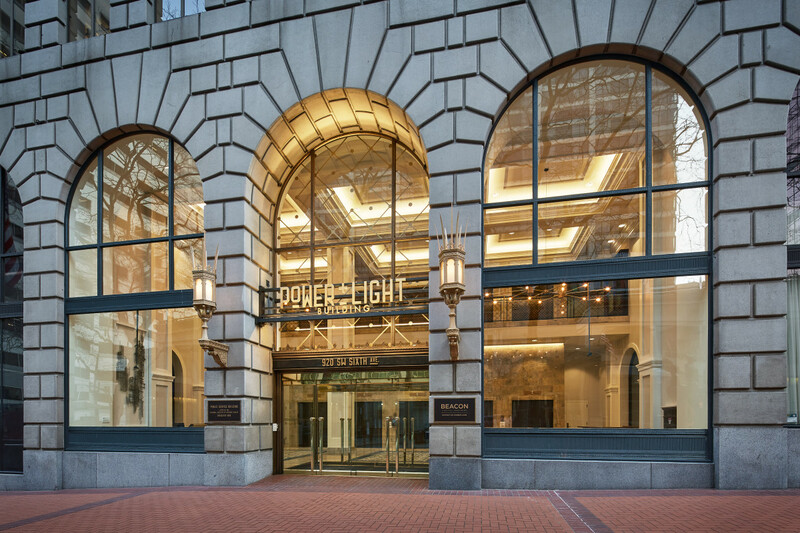 The building’s new name, Power + Light, was inspired by the original neon signs on the rooftop. The logo was derived from fonts on the building’s original door handles. New illumination turns the exterior into a lightbox that draws the eye to the interior. For more than three decades, the Public Service Building reigned over the Portland skyline as the tallest structure in The City of Roses. It announced its stature and its purpose from four neon signs—POWER, HEAT, GAS and LIGHT—atop its roof. The 15-story Italian Renaissance-style terra-cotta and gray brick building at Salmon and Sixth Streets, which opened in 1928 and was added to the National Register of Historic Places in 1996, was designed by local architect A.E. Doyle, whose firm worked on two others, the 1924 Bank of California Building and the 1926 Pacific Building, in the city. Architecture aside, it was an important building: The city’s main power plant was originally in its basement, and it still houses the city’s main power feeds. Although it lost its sky-high bragging rights in 1962 when the Hilton Portland Hotel bested it by all of nine feet, the one-time home of the first Niketown store is the largest block of contiguous office space in the city’s Central Business District. In the lobby of the P + L Building, details and patterns from the graphic identity are repeated on the railings, columns and carpets. The project, which is expected to be completed in 2018, began with a large-scale renovation by Beacon Capital Partners, which has applied for LEED Gold certification. The ESI Design team exploited the building’s rich history to rebrand it and rename it the Power + Light Building, which has an energetic, contemporary ring. “We took the two most positive words—power and light—from those once-existing rooftop signs that we saw in vintage black-and-white photos,” says Matt Weisgerber, ESI Design senior physical designer. “And we built branding around the theme of the plus and minus charge signs of a battery.” Thus, the building’s logo, and the carpeting, clock and mezzanine railing in the lobby make use of those simple symbols. The reception desk in the Power + Light building. Updated lighting brought the lobby to life. 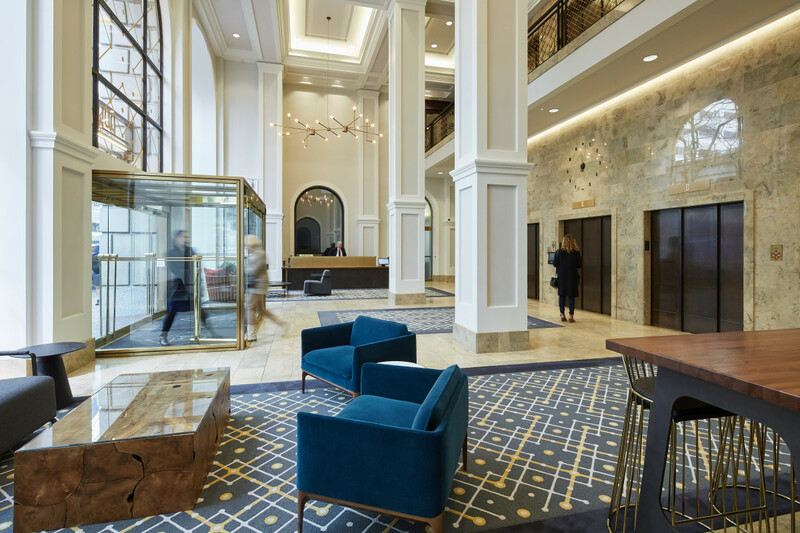 The ESI Design team removed a series of ill-placed pendants (one was blocking the view of the original clock on the elevator wall) of seesawing heights and designed two new bronze ones and added cove lighting to create a focal point. Reflective materials in the interior arches, custom light fixtures and an updated clock brighten the lobby and give it a more inviting feel.